Adrian and I would like to thank each and everyone of you for your kind words. Yesterday was one of the hardest days we every have had to face but we made no decisions , he took that pain away from us. . Poo Bear passed peacefully as he said his final goodbye. He had no history of any illness just a huge heart that slipped away into silence. Thank you McLeod animal Hospital for the dedicated service we have received over the years. Thank you Santana Kennels for your kind words and making Winston's final arrangements the most peaceful, sensitive and thought felt. Thanks to the Forks for making him a reg sunday attraction where even the tour guide new him by name. 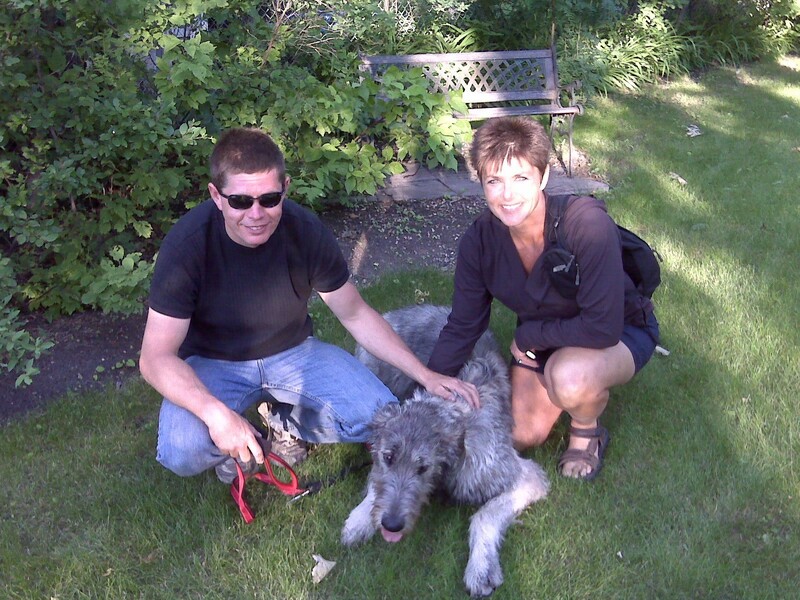 Thank you Hawkehaven Kennels: Sue and Glen for giving us the best on four legs. A very special thanks to Darcy and Zelco who came that morning to help us with Winston. We never know that lives we touch and we are so glad that the " fur bag" touched many. The saga continues as now there are two. Rosie and Norman are going to be staying together running in Winston's fields.